The Concours d’ Elegance has been an annual Father’s Day tradition presented by the Rodeo Drive Committee in its 25th year on Rodeo Drive. 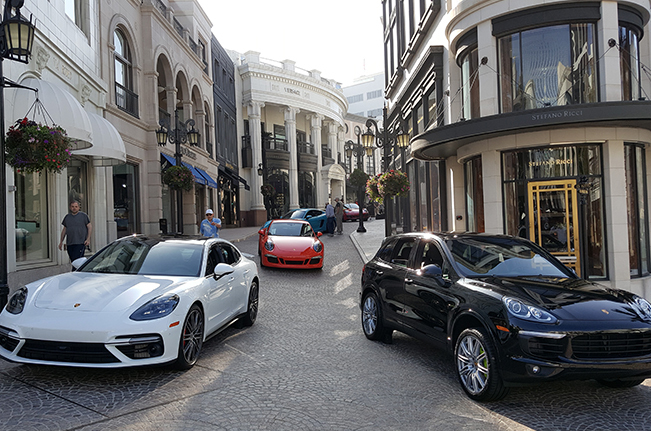 The car show is free and open to the public and draws high quality classic automobiles and luxurious new models to Rodeo Drive every year. The event has been named as one of the “300 Unmissable Events & Festivals Around the World” by top travel publisher Frommer’s. Two Rodeo participates in the event with curated vehicles displays, lounges and live music.